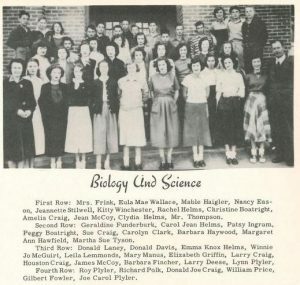 A new batch of high school yearbooks, provided by Union County Public Library, are now available on DigitalNC. These yearbooks are all from Union County schools, and include Benton Heights High School, Fairview High School, Indian Trail High School, Walter Bickett High School, Wesley Chapel High School, and Winchester Avenue School. The yearbooks include individual and class portraits, photos of student organizations, senior superlatives and more! To learn more about our partner, Union County Public Library, visit their partner page or take a look at their website.